Buying or Selling a home can be a challenge in the Lake Tahoe area. You want to find the local expert that knows the area well and has the experience to guide you through some of the local rules and regulations. I’ve lived in the area for over 35 years and I’ve practiced real estate in both California and Nevada for over 15 years. You’ll benefit from my knowledge and experience. Don’t miss opportunities! Market conditions are always changing and you’ll need the best information possible to make the right decisions. My greatest attribute, is helping you to navigate through the noise with the right information for the best result. Find someone that is responsive and always there for you! People choose me to assist them because I listen to their needs. I’m always available and I will always return your call, email or text right away. I strive to give you the best possible service and I don’t like to keep people waiting. Your time is valuable to me! 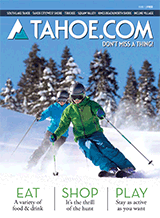 Whether you are buying or selling, I look forward to assisting you and making your Tahoe experience a good one!